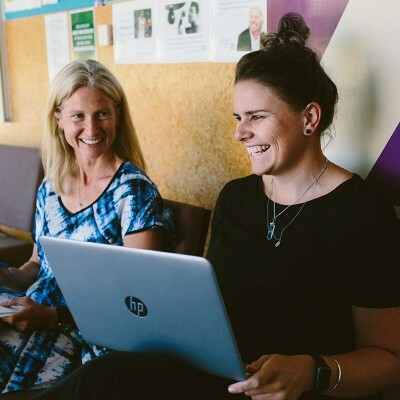 Teams all over New Zealand have been doing great things for learners, whānau and their communities – and sharing their stories so we can all be inspired. See their world changing work below. Arā ngā rōpū huri noa i Aotearoa e kawe ana i ngā mahi rangatira mō ngā ākonga, ngā whānau me ngā hapori - me te tuari i ā rātou kōrero hei whakaawe i ā tātou katoa. Tīrohia ā rātou mahi mīharo i raro nei. This school made whānau part of the learning journey and brought the whole community together. Nā te kura i whakarite kia whai wāhi mai ngā whānau ki te akoranga, nā tēnei anō i kotahi ai te hapori. that no other school and Tairāwhiti is offering. this taonga, this treasure that we have. it here for our young men, Tu Tane. Who are you and who are you going to be in the future? What type of footprint are you going to leave behind? just makes you think about yourself a lot more. New Zealand as a whole, or to the world. the guys are pretty close as a group. and how you can be the best man you can be. then you’ll never know what you can achieve. this area here in the Tairāwhiti. 15 year olds are like the world over. But Whakairo brings something different out in us. so that people can see the legacy as being continued. right down the lines since they came from Hawaiki. can create being in this Whakairo environment. looking at their sons work. involved in some of the other curriculum areas. our non Māori boys at level 2.
is pretty important I reckon. The success has bred success. has fulfilled everything that we set out to do. of what they learnt in Tu Tane. year tens are often the ones who got suspended a lot. We’ve had no suspensions this year. about whether or not to do that really stupid thing. based around Tu Tane programme and Whakairo. Our very first class graduated last year. town it’s easy to have a chat and you know to catch up. and look at what they're capable of doing". This school reframed stereotypes of masculinity and connected a generation of young Gisborne men to their whakapapa. Nā tēnei kura i whakahāngai i te tū a te tāne me te tūhono hoki i ngā taitamatāne o Tūranga ki ō rātou whakapapa. This early learning service responded to the enrolment of a deaf learner with a surprising strategy – one that changed learning for every child at the centre. Nā te whakaurutanga o tētahi ākonga turi i whakaritea e tēnei kura kōhungahunga tētahi rautaki rerekē - nāna i panoni ai te ako mō ia tamaiti i te kura. The winning school, kura or early childhood service in each of the four categories and Education Focus Prize will receive a package that includes a trophy, a certificate, a $20,000 financial award and professional development opportunities. 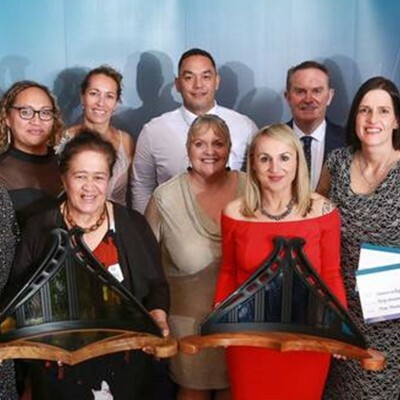 Ko te toa mō ia wāhanga me te Taonga Mātauranga, mehemea he kura, he ratonga kōhungahunga rānei, ka whiwhi i tētahi taonga, he tiwhikete, he pūtea e $20,000 te rahi me te whai wāhi atu ki ētahi kaupapa whakapiki ngaiotanga. The Judging Panel of New Zealand education leaders, academics and commentators is currently assessing this year’s entries and will announce the 2019 Finalists in June. Find out what’s involved as they make their decisions. Kei te aromatawaitia ngā tono mō tēnei tau e te Paepae Kaiwhakawā, ā, hei te marama o Pipiri ka pānuitia ngā whiringa toa mō 2019. Tirohia ngā kōrero mō ā rātou mahi hei whakaoti whakatau. start planning your entry for 2020. Start thinking about the stories your team could tell – and don’t forget to check out the eligibility criteria. Kua kati kē ngā tono mō 2019. Mēnā kāore koe i whakarite tono i tēnei tau, he tau anō ki tua, hei aronga mā koutou. Me huri ō whakaaro ki te tau 2020. Whakaarohia ngā kōrero hei whakapuaki mā tō rōpū - kei wareware hoki ki te tirotiro i ngā tikanga māraurau. Stacey Morrison recently had a few words of encouragement for schools who are thinking of entering the Awards. See what she had to say. Nōnātata nei i tukua e Stacey Morrison he kupu whakahau ki ngā kura e whakaaro ana ki te uru ki ngā Tohu. Tirohia āna kōrero.